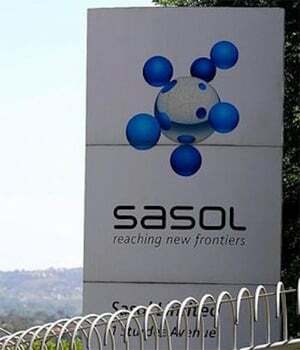 Sasol [JSE:SOL] says it has contingency plans in place for the strike arranged by trade union Solidarity over the exclusion of white employees from Sasol's new Broad-Based Black Economic Empowerment share scheme. According to a statement issued by the energy and chemical company on Monday, it received a notification of the strike, which commenced today. “We have activated contingency measures to minimise potential disruption to our operations,” Sasol said in the statement. The strike could potentially last for three weeks, according to Solidarity’s chief executive Dirk Hermann who spoke to Fin24 by phone on Monday afternoon. Hermann said that Solidarity, which represents 6 300 workers at Sasol, is implementing the strike in a “staggered approach” and likened it to a military operation. Workers will slowly withdraw labour from each unit. Solidarity will hand over a memorandum to Sasol on Wednesday and implement a full blown strike on Thursday when all Solidarity members will stay away. Hermann called it a “clever strike” as it will affect Sasol’s shutdown process. Sasol shuts down operations as part of an annual maintenance plan and then restarts the plants. Hermann explained that the Solidarity members know “exactly where” the next shutdown will be and will withdraw their labour - skills and knowledge - needed for the process, effectively delaying the shutdown. Solidarity believes that Sasol is one and a half days behind schedule. But in its statement, Sasol said the planned shutdowns at parts of Secunda and Sasolburg operations are underway and on schedule. “Our operations that are not part of the annual maintenance shutdown are also continuing as planned,” Sasol said. Solidarity has argued that the empowerment scheme - Sasol Khanyisa Phase 2 - is not inclusive. Hermann said that it is not necessary for the scheme to “exclude” to empower. “Sasol can empower black workers and include white workers,” he said. According to Sasol, Khanyisa Phase 1 is available to all permanent Sasol employees, regardless of their race, tenure or seniority if they were participants in its previous empowerment scheme known as Sasol Inzalo and were still actively employed as at June 1, 2018. These employees are eligible for R100 000 worth of Sasol ordinary shares or Sasol BEE ordinary shares. According to Sasol there are 6 313 white employees and 11 962 black employees in this phase at the start of the transaction. Phase 2 however is aimed at black employees. These employees need to be permanently employed as at June 1, 2018. They are eligible for 1 240 Sasol Khanyisa rights to shares. There were 18 282 black employees in this phase at the start of the transaction.